It would be easy to write Martha Ray's off as just another Brunswick Street café. The street is packed full of them, after all. The thing is, none of them are quite like Martha Ray's. Take the location. Cafés have been slow to creep down below the Johnston Street intersection heading toward the city, but in recent years a few struggling cafés have tried. The Newtown Social Club is one of the few that has succeeded in getting a real foothold, but Martha Ray's is coming in a close second. 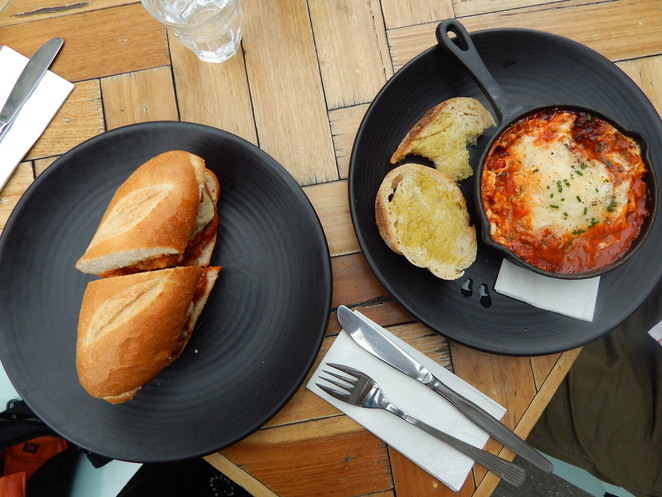 A meatball sub and baked eggs: an attractive view. Oh, and there's also Brunswick Street. 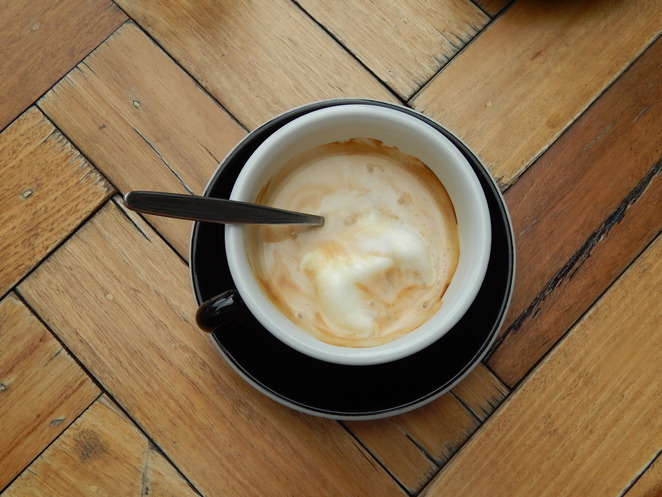 One hell of an affogato. Then take a look at the food. Most places on the street offer variations of breakfasty things, including sandwiches, but something about Martha Ray's is just a little different. Sandwiches, yes, but with a bit more punch. My order was the meatball roll, and it arrived in baguette form with tomato sauce just beginning to make the bread soggy. It was delicious. The thing that got me was the coffee, which should be no surprise. Mine was an affogato, and I have to say it's one of the best I've ever had. Martha Ray's is the first place I've been to that put true quality ice cream into it, and it made all the difference. The only down side I can talk of is the service, which wasn't high on the enthusiasm meter. When you're drinking good coffee and eating a decent meal, though, there's only so much to complain about. 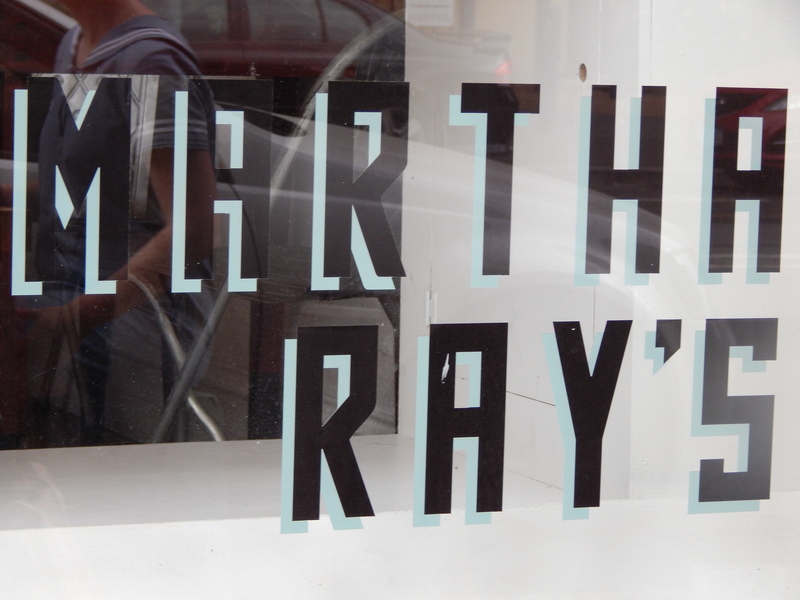 With most of the action in Brunswick Street happening above Johnston Street, wandering Martha Ray's way is more than worthwhile.